Long walks in the fresh winter air, leisurely shopping at Christmas markets or fun sleigh rides: a winter holiday in Salzburg can be so versatile. 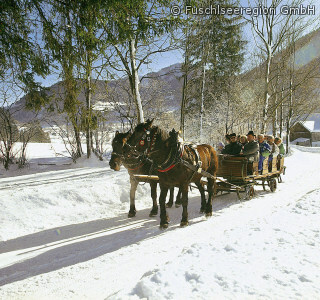 Choose the Gersberg Alm as your accommodation for your next winter holiday. Fun in the snow and the city: no matter where you prefer to take your holidays, winter in Salzburg and the Salzkammergut region has lots of fun in store for you. Winter romance: whether you choose ice skating, sleigh rides, cross-country skiing or winter hiking: discover the romantic side of winter in Salzburg. 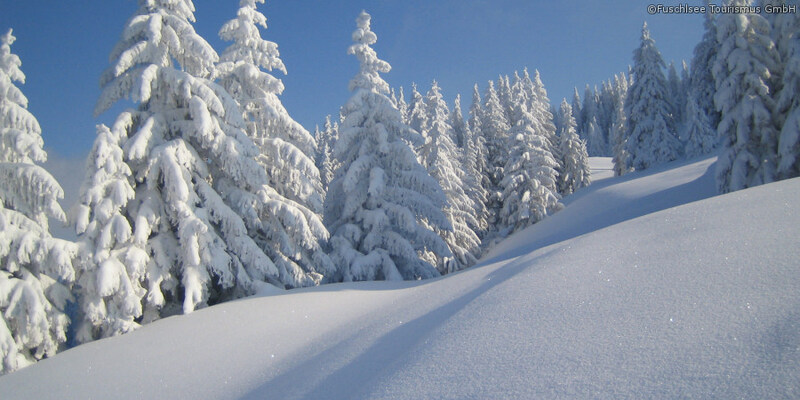 Skiing: various ski resorts with countless kilometres of pistes await you near the Gersberg Alm. Enjoy skiing and be sure to stop at a chalet for a break and a bite to eat. Museums: on cold days you can head to the museums and galleries in Salzburg. Visit the Haus der Natur natural history museum, the Museum der Moderne or Mozart's birth house. Shopping: fine boutiques, dreamy shops, chic shopping areas and picturesque Christmas markets. Shopping is a pleasure in Salzburg. Culture: Salzburg is a true cultural capital. Experience musical and theatrical delights on your winter holiday in the city of Mozart. The city offers many concert highlights around Christmas, for example during the Salzburg Advent Festival. Stroll through the snowy nature surrounding our hotel. Enjoy delicious winter cuisine in our restaurant. Treat yourself to a hot cup of tea at the hotel bar. Warm up in the sauna or steam bath. Cuddle up in bed in your cosy hotel room and dream about what you will do tomorrow. Is this how you picture your winter holiday? We look forward to welcoming you to the Gersberg Alm!